Obese children are showing signs of heart damage by the age of five, according to research that also suggests toddlers are being harmed by their weight. Similar warning signs were even seen in bottle-fed babies before their first birthday in the latest set of findings to highlight that an unhealthy start can set children up for a lifetime of health problems and deadly conditions such as cancer and heart disease. One in five British children is now obese by the time they leave primary school. In response, parts of the NHS are experimenting with showing parents what their children might look like as obese adults in an effort to shock them into healthier diets. Previously researchers have found signs of emerging damage in eight-year-olds. Romanian scientists have now said that these problems can appear earlier. They used ultrasound to measure the thickness of the left ventricular wall of 455 children under five, 49 of whom were obese. This is a well-established marker of heart problems in adults, with thicker walls increasing the risk of difficulties with blood flow. The heart walls of the obese children were 31 per cent thicker, averaging 7.6mm, according to results presented at the European Society of Cardiology congress in Barcelona. Delia Mercea, of the Constantin Opris hospital in Baia Mare, said that although the children would not notice any problems until later in life, it was clear that the groundwork for ill health was already being laid. 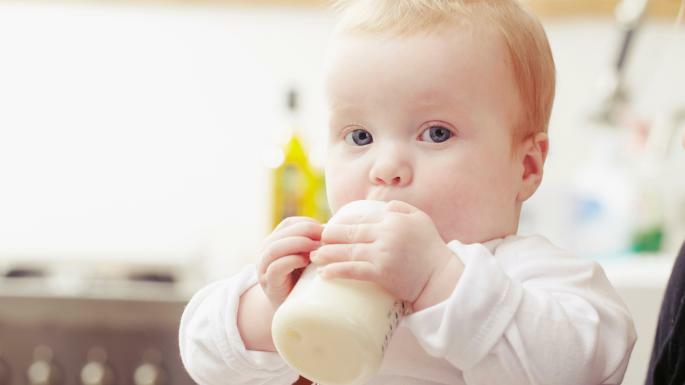 Fifty-four of the children were under the age of one and Dr Mercea said there were signs of the same pattern even before the introduction of solid food. Babies who were too heavy had been bottle-fed, she said. Britain has some of the lowest breastfeeding rates in the world, with less than half of mothers still doing it after two months and only 1 per cent following advice from the World Health Organisation to feed babies only breast milk until the age of six months. • Spending three years at university reduces the risk of developing heart disease, an international study has found. Researchers examined half a million people and found those with more DNA markers linked to education were 30 per cent less likely to have heart attacks and heart failure. The study was published in The BMJ.